Superstar Salman Khan, who is launching brother-in-law Aayush Sharma in Bollywood, has changed the title of his new film from Loveratri to Loveyatri. Salman made the announcement last evening on social media with a new poster and title. However, he didn't specify any reason behind changing the title. "This is not a spelling mistake... Loveyatri," the 52-year-old actor captioned his post. Loveyatri, featuring Aayush Sharma and Warina Hussain, is set against the backdrop of Navratri. Months ago, Vishwa Hindu Parishad (VHP) protested against the film's title and alleged that it 'distorts the meaning of the Hindu festival.' Later, a petition was filed against the film. News agency PTI last week reported that a court in Bihar asked the police to lodge an FIR against Salman Khan and the cast of Loveyatrion the basis of a complaint that the title and contents of the movie had hurt the Hindu sentiments. Here's how Salman Khan made the announcement about the title change. His post was followed by brother Sohail Khan and sister Arpita (Aayush's wife). 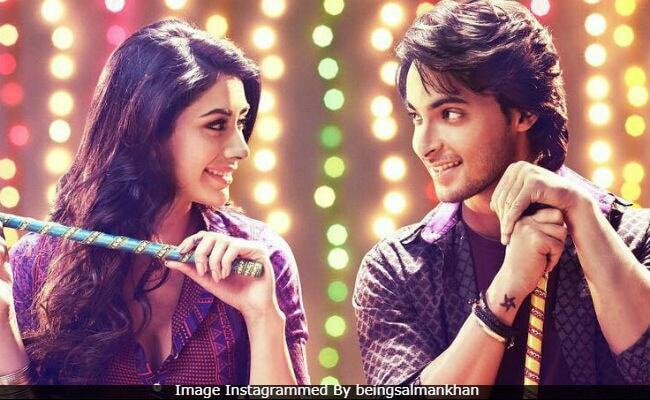 Like Aayush Sharma, Loveyatri also is Warina Hussain's first Bollywood film. It tracks their love story and has been shot in Gujarat and London. Ram Kapoor and Ronit Roy also play pivotal roles in Loveyatri. Loveyatri, directed by Abhiraj Minawala, releases on October 5. It's produced by Salman's mother Salma Khan.